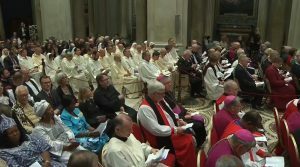 The commissioning Vespers in Rome with Archbishop Christopher Prowse and Anglican Bishop John Parkes in the foreground. our determination to work alongside the victims. We spoke also of the continued practical support offered to each other, especially in our rural communities. We spoke of the mature co-operation in regard to theological education, the work of AustARCC and its production of joint theological documents, and our shared efforts to respond to the many faces of secularism in our home of Australia. 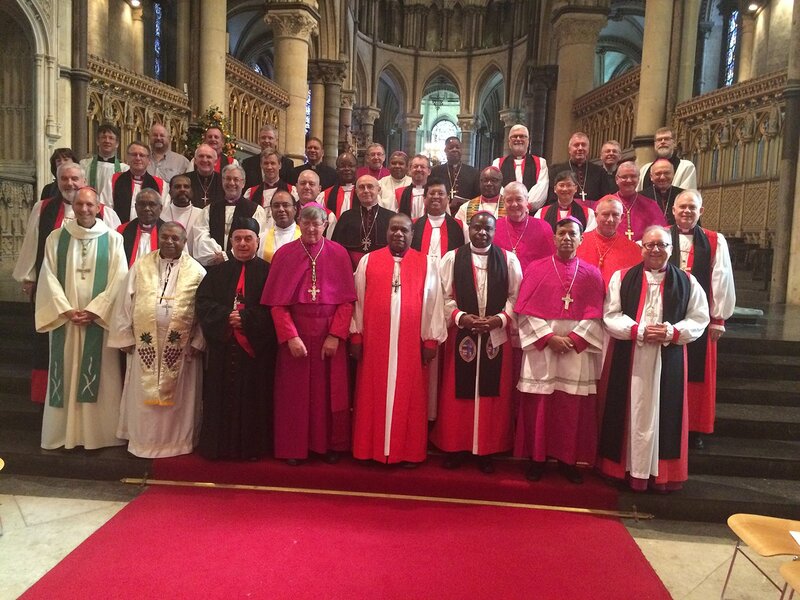 IARCCUM Bishops delegates for Australia. Australia and encourage and re-energise the friendships we have developed in Australia within our communities. We rely on our continued ecumenical friendships, common witness and mission, dialogue and study, and common prayer, to deepen our shared pilgrimage on this ecumenical journey to unity. We encourage you to read the documents of this “Canterbury to Rome Pilgrimage,” and past documents of ARCIC (Anglican Roman Catholic International Commission) and IARCCUM (International Anglican/Roman Catholic Commission on Unity and Mission) and AustARCC (Australian Anglican/Roman Catholic Commission) on the following websites: www.iarccum.org and www.catholic.org.au/ecumenism. 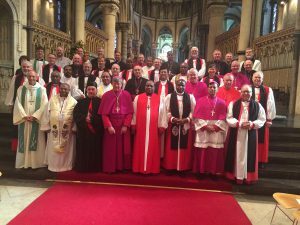 Thank you for all that you have done in the past to foster ecumenical friendship between our communities. 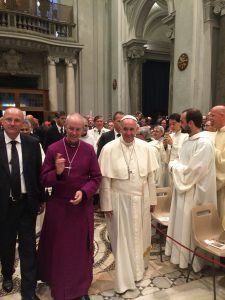 Let us find all sorts of practical and pastoral ways to further this friendship together and direct its Gospel energies to assist the poor and oppressed in Australia and beyond. Anglican Archbishop of Canterbury – Justin Welby with Pope Francis in Rome.